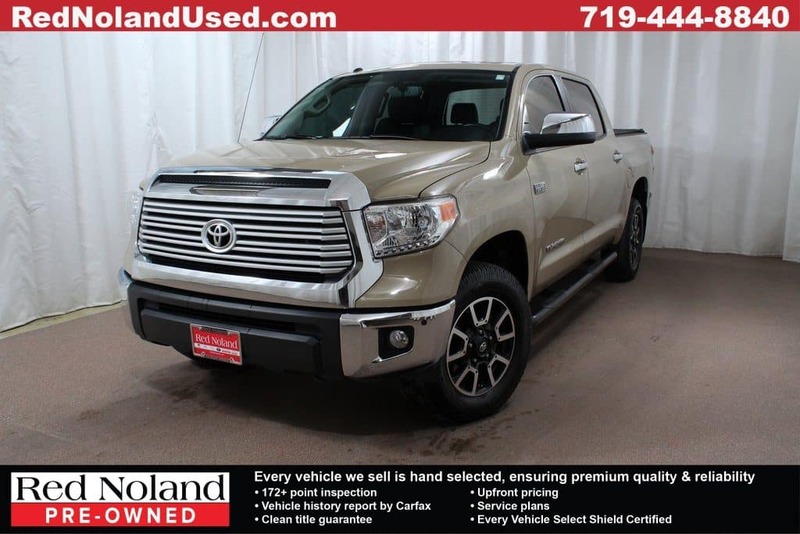 Powerful and feature-filled are two great words for this 2017 Toyota Tundra Limited pickup truck. This head-turner is for sale at Red Noland Used in Colorado Springs at an amazingly affordable $38,997! You will love the power that comes from the Flex Fuel V8 engine. Plus this Tundra includes the TRD Off-Road Package and Trail-Tuned Bilstein Shocks so you know it ready to meet the challenges of Colorado mountain driving! Other features include navigation system, sunroof, blind spot monitor with rear cross traffic alert, and tilt-and-slide moonroof with sliding sunroof. The snowy weather will be no match for this impressive Toyota Tundra Limited! Stop by Red Noland Pre-Owned today and take a test drive. Experience the amazing luxury you can expect paired with the impressive capability!